The innovative composite curved frame and hinge system of the LAMILUX CI System Glass Element FE make it attractive to architects, designers and building owners alike. It is available with triple glazing and optimized SHGC. Fitted on a circular, thermal bridge free, fully insulated curb made of fiber-reinforced composite. Optimized isothermal lines for consistent heat insulation zones eliminate weak spots and provide superior thermal insulation across the structure. 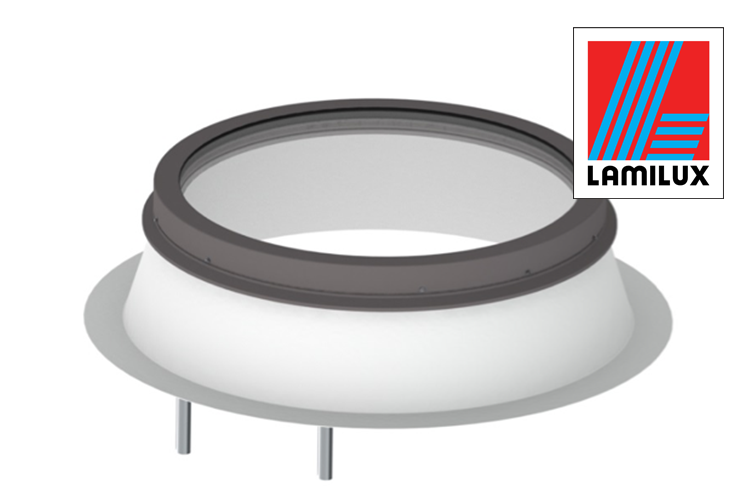 LAMILUX’s thermal-bridge-free product lines provide maximum energy efficiency in an award-winning design. (inch) 36 / 40 / 48 / 60 / 72 / 80 / 104"